How did ancient Greeks communicate and send encoded messages? On a unique interactive map, correctly place the fires of Agamemnon and announce the fall of Troy! Learn and operate the “beacons”, the first optical telegraph in history. Receive and send encoded messages with your friends and…save the city, or.. play the broken telephone! 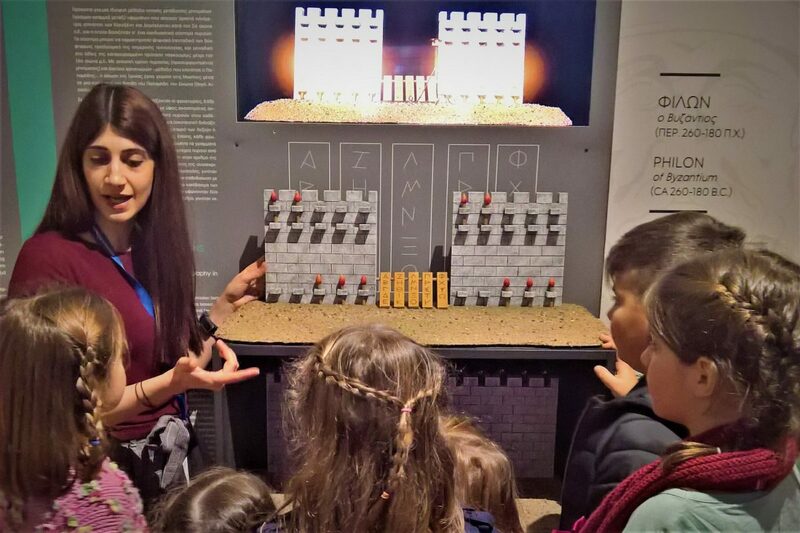 Find out how to use the hydraulic telegraph of Aeneas, the first telecommunication device in the world and become the fastest messenger in history! Build the “notebooks” and “pencils” of the Ancient Greeks, and write, send and read cryptographic messages based on the Polivios code. Construct the «secret baton», send useful messages to your friends that are incomprehensible to your enemies. As a gift you will receive a functional cardboard cryptographic disk of Aeneas.